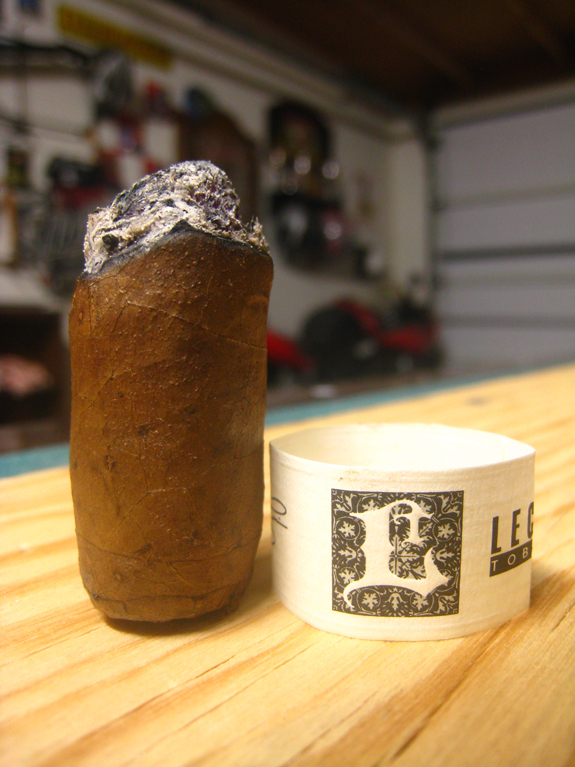 Last week, I had the privilege of smoking the Leccia Tobacco Black, which features an extremely unique tobacco that is rarely, if ever, used in cigars called Dark Fire, a wood fire cured tobacco. It is an understatement to say I was impressed with the blend. If you haven’t yet done so, you can check out the review of the Black here. 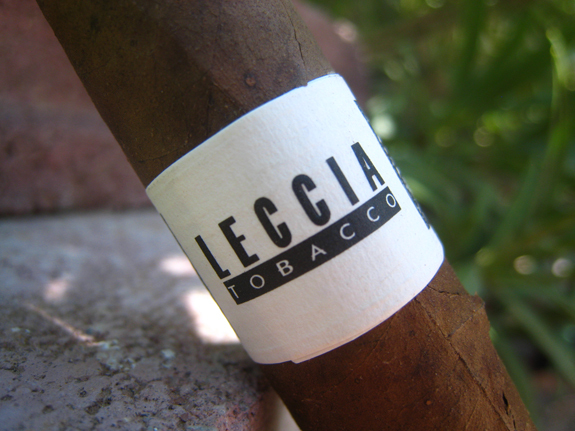 This week, I bring to you a review of the Leccia White. 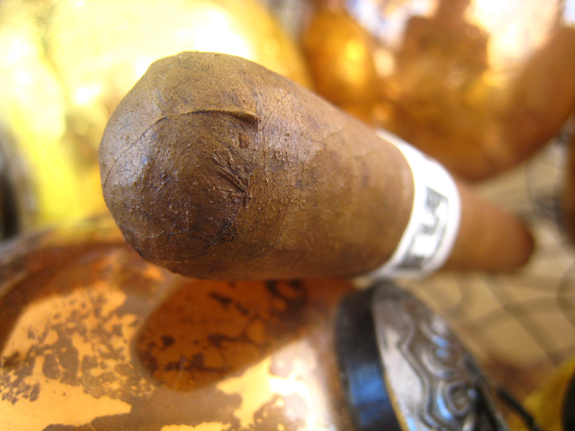 As with the Black, the White is produced at an undisclosed factory and distributed by Torano Family Cigar Co.. However, the White is being manufactured in Nicaragua, while its counterpart is manufactured in the Dominican Republic. Black and White are available in four sizes including: 4 by 46, 5 by 52, 6 by 50, and 6 by 60. 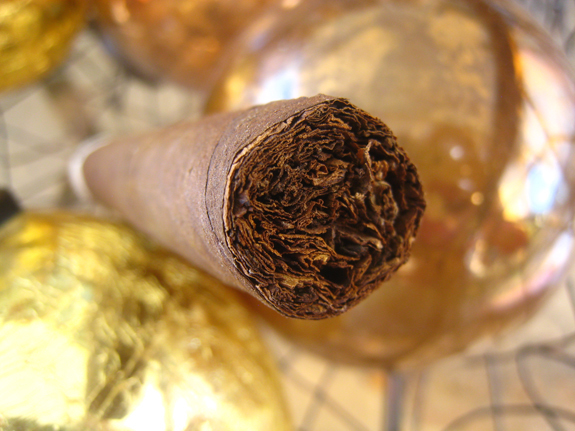 The African Sun Grown wrapper is medium brown with small circular color imperfections scattered across the cigar. The wrapper contains a fine tooth and small to medium veins . 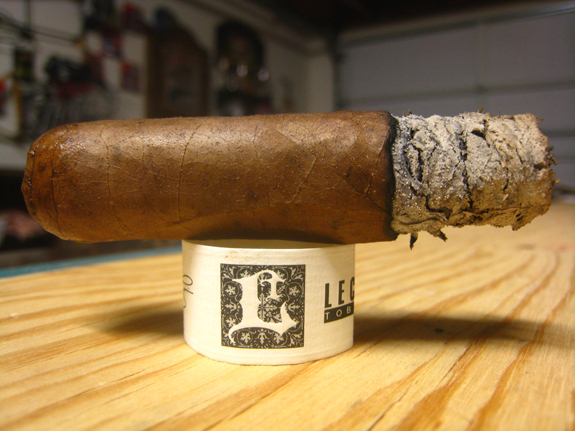 As I examine the cigar, I have not come across any soft spots, but the foot appears slightly underfilled. The wrapper gives off a slight pungency along with a dry cedar, which is also noticeable on the foot aroma. The pepper on the foot is not messing around and there are additional notes of coffee and faint cocoa. Clipping through the not so neat cap reveals an effortless draw that has a rich clove flavor. There is a sizeable crack that starts at the band and runs about an inch. Probably due to travel from Phoenix to El Paso. I am starting to wonder if the free draw is due to the large crack in the wrapper. If so, this may be a task to smoke. As expected from the cold draw, the smoke is very rich right off the bat. I am now wishing I had some coffee with some cream to pair with the White to offset the richness. The cedar is right on the forefront with a myriad of spices and deeper notes bouncing all over my palate. The free draw produces a copious amount of flavorful smoke. 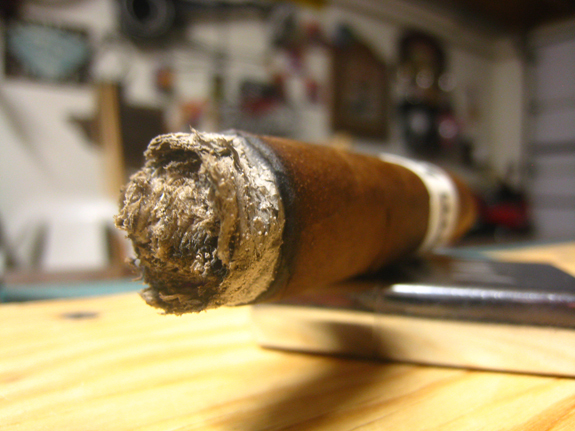 About a half inch in, the cigar is settling in with the richness mellowing out. Dark earthy notes are now accompanying the cedar core. The spice tickles the back of my throat on the finish and is extremely sharp on the retrohale. The eyeliner burn is right on, leaving behind a layered dark, grey ash that is holding just short of an inch. The White is pumping out a ton of spice filled smoke. A bucket of water may be required to cool down my mouth after this bad boy. Okay, it isn’t that bad but you can’t miss it. 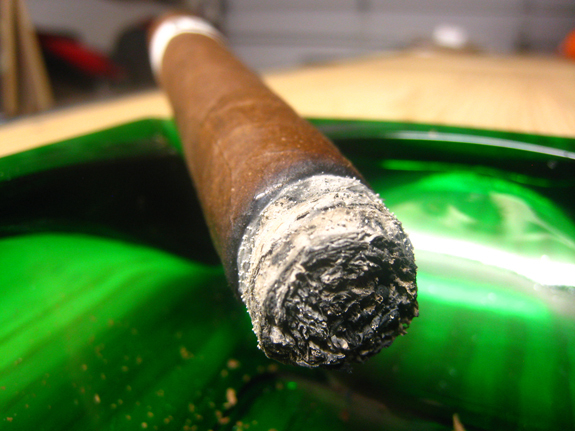 The finish of the smoke, while still spicey, has an added layer of cocoa. I am interested to see if this flavor will take a more prominent role in the profile. As I burn through the second third, the mouth feel of the smoke has completely changed. The smoke is now oily, thick, and creamy coating my entire palate. Some sweetness is playing its way into the flavor make-up. No change in the burn or ash. Both are still rocking! Usually, I begin removing the band at this point. However, due to the crack in the wrapper, I am going to wait it out as long as possible in case removing the band causes additional issues. The cocoa, that was previously on the finish, is now mixing with some coffee notes and the earthy notes are still hanging around. Once again, the smoke is rich, layered with a unique mineral-like note. Coming down to the band, I remove it with care, and I am very pleased to see that the crack does not continue on under the band. From the first few puffs the strength has remained medium/full throughout the entire stick. Let me begin with the objective aspects of the cigar. The White performed way above expectation, especially since there was a huge crack in the wrapper. The burn line was right on, the ash held strong, and smoked just poured out. Now onto the aspects that will bring me back time and time again. Being a Nicaraguan cigar nut, the flavors were right up my alley. The cedar, dark earth, cocoa, and coffee on a bed of spice made this one heck of a ride. With the level of spice and strength, I would smoke this later in the day and as one of my last cigars of the day. With the price falling below $8.00, this cigar will be making its way into my weekly rotation or so. It is a toss up for me between the Black and White. 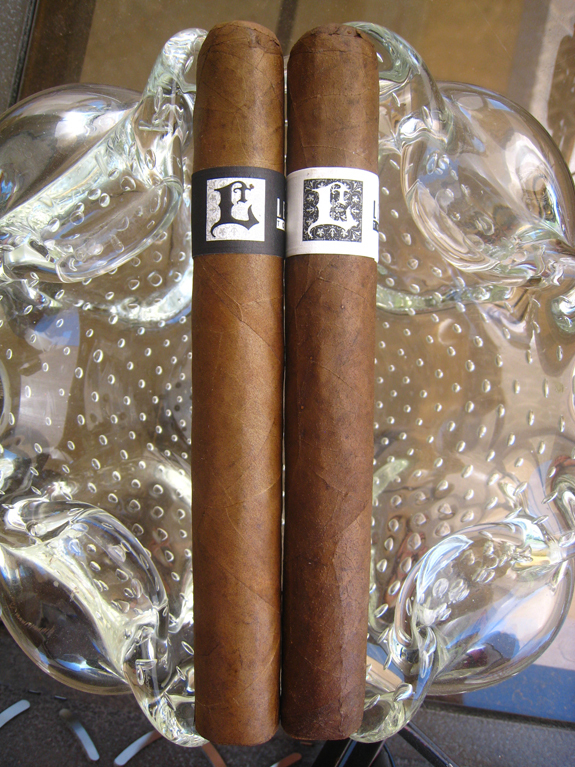 Sam Leccia has produced two excellent cigars and I can’t wait to see what else he has up his sleeve. Grab yourself a stick or five and let us know what you think. Related ItemsAfrican Sun GrownEcuadorianLeccia BlackLeccia TobaccoLeccia Tobacco BlackLeccia Tobacco WhiteLeccia WhiteNicaraguanNicaraguan LigeroPennsylvanianSam LecciaSecoTorano Family Cigar Co.